Design Thinking For Human Problems. The same empathetic process that's used to design a logo can also be used to innovate creative solutions for complex, human-centered problems. Monique is a thriving graphic designer, rigorous yet relaxed design educator and spirited advocate for creativity and innovation. She believes design thinking and creative problem-solving are critical 21st century skills needed to tackle the complex, sticky issues facing our increasingly interconnected world. Monique holds a bachelor's degree in visual communication, certificates in web design and development, and a master's of fine arts degree in graphic design. Her areas of expertise are rooted in the printing and publishing industry, and have evolved over the last 13 years to include brand identity and user-experience design. Now in her third year as assistant professor of graphic design at Lakeland University, Monique is not only teaching students how to design a logo, but how to use design thinking to make the world a better place. Confronting biases, analyzing reality, and expanding our consciousness can help us gain a new perspective on gender. Jacqueline Corey is a 34-year-old mother of four amazing children, ages 11, 10, eight and seven, and a birth mum to one fantastic surrogate child, who is 12 months old. 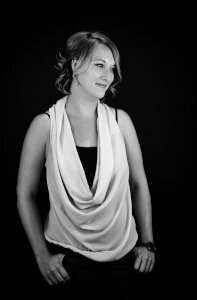 She holds a bachelor's degree in elementary and middle school education from the University of Wisconsin-Eau Claire, and an AAS in sign language interpreting in education from Northcentral Technical College in Wausau. She currently works as a community sign language interpreter and can often be found advocating for women's rights, veteran's rights, LGBTQIA rights, deaf rights and climate change awareness. Her hobbies include traveling, camping, hiking, swimming, water sports, biking, skiing, gardening, reading, theatre, art and, her favorite, hanging out with her kids and her soulmate, Adam. How We Create Abundance with Ease and Enjoyment. Managing the expectation process produces greater abundance with less effort and increased pleasure. A junior at Lakeland studying religion, Brandon plans to take his knowledge of this field and work to understand others and help bring people together. Growing up in nearby Plymouth, Wis., has given him a curiosity towards understanding the nature of the world and what is beyond. Growing up with a loving, single mother, and a joyous family around him, Brandon is fortunate to understand love and support. Being a son, brother and uncle to many nieces and nephews has fueled him with passion to understand the human spirit and how it can triumph over the darkest and worst times that humans encounter. Brandon ultimately believes that humans triumph over the worst because it is our own will and desire to seek good and truth for one another. Even though obstacles may get in the way, it is our unconditional, selfless love that helps bind humanity to one another and to take care of each other. How Can You Defend "Those People"? A Criminal Defense Lawyer's Perspective. It is extremely important that lawyers defend people who are accused of, or even guilty of, crimes, because doing so supports the Sixth Amendment, humanizes people and makes the world a safer place. Casey Hoff is a criminal defense lawyer who represents people accused of crimes throughout Wisconsin. Casey received his undergraduate degree from the University of Wisconsin-Madison and his law degree from Marquette University Law School. Casey is a past president of the Sheboygan County Bar Association, a board member of the Wisconsin Association of Criminal Defense Lawyers and a member of the National Association of Criminal Defense Lawyers. 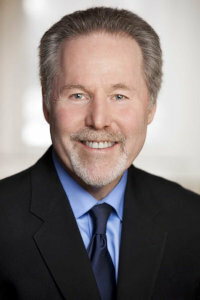 In addition to his law practice, Casey writes regular opinion columns on issues of criminal law and justice for the USA Today Network-Wisconsin newspapers. Casey's passion is defending those accused of crimes, even those who have done wrong. Casey believes strongly that no person should be defined by his or her worst moment in life, and that there is mercy and redemption for us all. Casey is focused on criminal justice reform issues and other efforts made at rehabilitating people who have committed crimes so that society can be made safer. Experiential education better prepares individuals for life-long learning to anticipate the needs of our future workforce. Jess Lambrecht is a higher education professional and has been working in student services for more than 13 years. She has a master's in higher education administration from the University of Kansas and a bachelor's in marketing communications from the University of Wisconsin-River Falls. Jess has experience in residence life, admissions and career services. 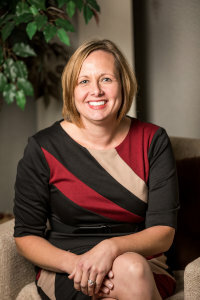 She served as president of the Wisconsin Private College Career Consortium and provided leadership to obtain grant funds for the development of internships in the Sheboygan community. She is passionate about helping better prepare students for their future careers and providing opportunities for all individuals to learn and grow. She enjoys teaching and motivating students to reach their full potential. Jess is originally from Woodbury, Minn. She has lived in Kewaunee, Wis., since 2007 and is married to Jeff Lambrecht. They live on a large dairy farm operation and have four children. We are making the universe smaller by impacting the world one arrow at a time. 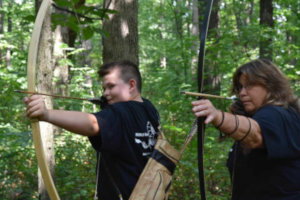 Dorothy McElroy is a widow, mom to Wyatt and founder of The Dancing Arrow Club, a grief therapy through archery program. She is co-founder of The World Dragon Shooting Day. She has her Grief Support Specialist Certification, is a NODA volunteer with hospice. Dorothy is also a level 2 USA Archery instructor. She will soon have her associates degree with an emphasis on grief therapy for children from UW-Green Bay. She and Wyatt travel the country helping support World Dragon Shooting Day events in honor of her late husband. Wyatt is the co-founder of the World Dragon Shooting Day. He is a middle schooler at Etude School Group where he is on the Lego Robotics club and is taking classes emphasizing his engineering degree interest. Wyatt likes archery, longboarding and figuring out how things work. He has made friends around the world with this venture. Together, he and his mom are expert dragon slayers. Personal Empowerment through Reflection, Learning and Improvement. We empower ourselves to become better people. Currently an associate professor at Arizona State University's Mary Lou Fulton Teachers College, Craig began his career as a high school biology teacher. He has been an educator for 33 years, 23 of those in higher education and 10 as an administrator. 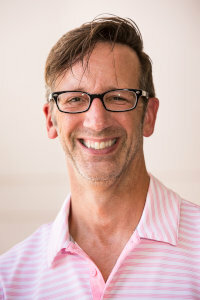 He teaches courses focused on the application of action research to promote educator empowerment, school improvement and job-embedded professional development. He is the author of 10 textbooks (including three books on action research), nine invited book chapters, and a novel. He is also the editor of the Wiley Handbook of Action Research in Education. Running Into the Flame of Failure. The willingness to stare down failure in the pursuit of important goals causes people to strengthen their creativity, resilience and confidence. 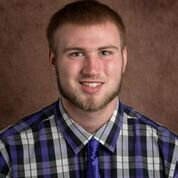 Born and raised in rural Howards Grove, Wis., Zach was educated in a small-school environment. In middle school he discovered an ability to approach a large crowd with little fear. As he grew older, the crowds, and sometimes the speeches, became larger and more important. Now as a senior at Lakeland University studying communication and psychology, he takes advantage of those long speeches. 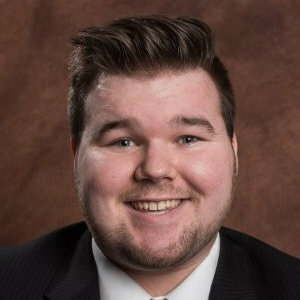 He is the founder and president of the new LU Drumline, an actor for the Lakeland Theater Department and am a percussionist in the LU Symphonic Band. In his spare time, Zach enjoys golfing, listening to music and spending time with his amazing friends and family, who know how to fuel his social personality. Focus on Self, Lead Selflessly. Igniting your leadership starts with leading yourself well. 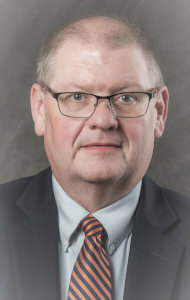 Throughout his career, Jamie Schramm has held roles in manufacturing operations, organizational and leadership development and community development. Whether the opportunities were paid career roles or community service activities, each one confirmed a personal belief which drives much of Jamie's reason for being here today – a belief that we need to challenge ourselves every day to be better than the last. Self-improvement has no finish line. Jamie attributes much of his career and personal success to amazing people he has met and the relationships he has created across many communities, including being a graduate of Lakeland University. In addition to having a passion around leadership, he is involved in numerous non-profit and community initiatives. How to Get Rid of "Fake" Pain. People can access self-healing resources to reduce pain. Dr. Mark Weisberg is a clinical health psychologist and author in Minneapolis, Minn. He is adjunct community faculty at the Academic Health Center of the University of Minnesota. He is a Fellow of the American Psychological Association, American Society of Clinical Hypnosis and American Academy of Clinical Health Psychology. He also consults at the Minnesota Head and Neck Pain Clinic in St Paul, Minn., and maintains an independent practice in Minneapolis. Dr. Weisberg has been involved in clinical practice, consultation and writing in integrative mind-body medicine and treatment of chronic physical conditions for more than 25 years, and teaches nationally and internationally on these topics. He has many publications in the medical, dental and psychological scientific literature. He is also a jazz musician, playing bass at several Minneapolis/St. Paul jazz clubs. 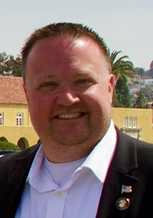 Paul White currently serves as the Director of Institutional Research and Compliance Officer for Lakeland University. In addition, White has had a more than 20-year career in higher education serving in student affairs, academic affairs and as a faculty member. 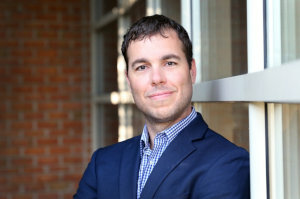 His teaching background encompasses courses in critical thinking, philosophy, logic, business statistics, economics, educational administration and research, and writing. Paul has served as a consultant and writer to public K-12 school districts concerned with risk and protective factors for youth, bullying identification and prevention, and organizational alignment. He is the owner and principal trainer at Firearms Training and Support, LLC, providing consultation, training, and certification for armed security professionals in post-secondary education. He is also a certified civil rights investigator specializing in the Americans with Disabilities Act and Title IX. He resides in Sheboygan with his wife and children and is active in his church. This independent TEDx event is operated under license from TED. Hosted by Lakeland Univeresity.